This is a very easy quilt. The only block you have to put together is the half-square-triangle block. Once those are made, it's just a matter of laying out the pieces. Buy charm packs or you can cut your own 5" squares. 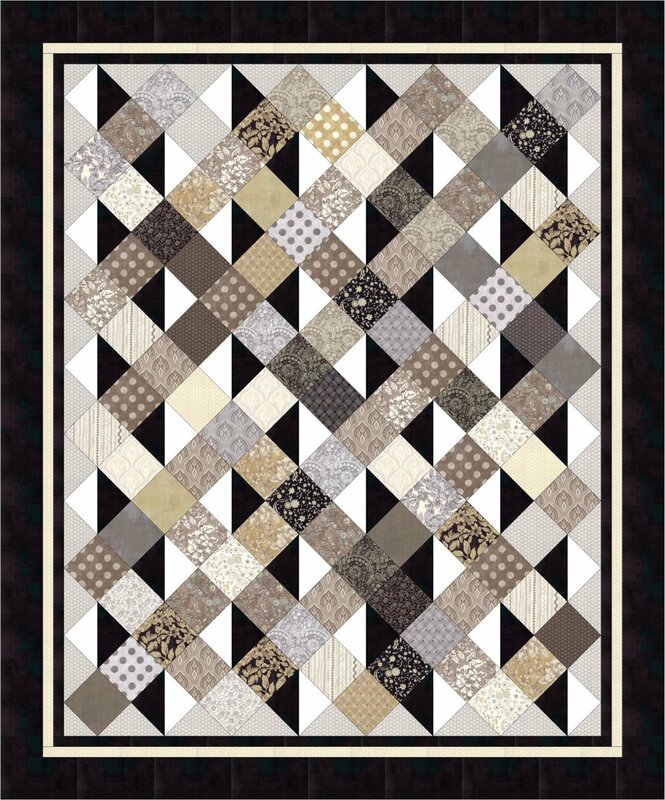 Makes a great scrappy quilt.